For nearly thirty years, Slayer has been the single most distinctive and radical thrash metal band anywhere. Graphic lyrics, saturated in controversy and disturbing imagery; the frenzied guitar playing, powerful vocals, and unrelenting pounding drums at breakneck speed; the unparalleled concert performances; the shocking and blood-fueled albums all have kept their rabid, head-banging fans enthralled in mayhem. For the first time in the band's storied history, 'The Vinyl Conflict' collects all ten original Slayer albums from American Recordings and puts them together in this limited edition box set. Each album has been re-mastered from the original flat master tapes and is pressed on the highest quality 180 gram audiophile vinyl. Also included are reproductions of the original LP artwork, including inner sleeve art, all in heavyweight, litho-wrapped chip jackets. From 1986's 'Reign in Blood' to 1994's 'Divine Intervention' to 2009's 'World Painted Blood,' it's all here, it's all on vinyl and it's all original Slayer. Everything has already been said about this music, including the fact that Slayer's first three offerings - 'Reign in Blood,' (1986) 'South of Heaven,' ('88) and 'Seasons in the Abyss' ('90) - are cornerstones in any respectable metal collection. 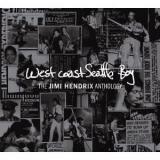 This DELUXE EDITION is a single disc selection of the West Coast Seattle Boy box set, representing a "best of" of what the full box set has to offer. It also includes the DVD Jimi Hendrix Voodoo Child, featuring Jimi's life story told in his own words. Legendary funk bassist Bootsy Collins brings Jimi's words and story to life. Rare and never before seen footage and photos - as well as the Hendrix family archive of the late guitarist's personal drawings, postcards home to his father, song drafts, sketches, and lyrics are all featured in this special ninety minute presentation. West Coast Seattle Boytracks Jimi Hendrix's incredible journey from R&B sideman to international acclaim. This collection presents - for the first time - the most sought after of Jimi's pre-Experience recordings as a sideman for such rhythm & blues stars as The Isley Brothers, Don Covay, Little Richard and others; as well as previously unreleased and commercially unavailable studio recordings from every chapter of his career. 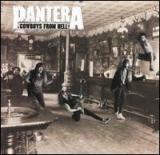 The studio recordings include never before released (or even bootlegged!) alternate versions of such classic fare as "Are You Experienced," "Fire," "May This Be Love," "Love Or Confusion" and many more. In addition, new songs such as "Hear My Freedom," "Hound Dog Blues" and "Lonely Avenue" make their debut as part of this special collection. West Coast Seattle Boy also features another major revelation - an electric demo version of Bob Dylan's "Tears of Rage"! VINYL DELUXE EDITION. This limited deluxe vinyl box set contains all twenty-six UK singles spread across five heavyweight 180 gram vinyl LPs, housed in a 12" lift off lid and box, and including a twenty-four page booklet! Time Flies - 1994-2009 is the complete Oasis singles collection. Featuring all twenty-six singles released in the UK during their fifteen year career, plus the U.S.-exclusive hit "Champagne Supernova," this collection is the ultimate celebration of a band who had seven consecutive #1 albums and sold an unbelievable 7.5 million singles in the UK; who topped charts, sold millions of records and became legendary for their live show around the world, during the course of their career. Oasis were the band who defined Britpop. The album cover features an image from the band's landmark live shows at Knebworth in 1996. No other artist contributed more to the development of this art form than Michael Jackson. Just look at the impact of Thriller, which was recently named the first (and only) music video ever to be inducted by the Library of Congress into the National Film Registry - an elite collection of only a few hundred films. In addition to this, Michael’s vision had immense cultural impact . The enormous popularity of his short films proved to MTV Executives that they were wrong about what their audience wanted; it was Michael who broke through that initial barrier and created opportunity for future African American artists. Here, for the first time, is the complete collection of all 35 of the short films produced by Michael during his career as a solo artist - 10 of which are appearing on DVD for the first time. All of the short films have been meticulously restored and remastered for the ultimate audio and visual experience and a bonus DVD includes 7 additional videos including “Enjoy Yourself” with The Jacksons, “Say Say Say” with Paul McCartney and the Previously Unreleased video for “One More Chance”. This is a true representation of Michael Jackson’s Vision. Deluxe Box Set Features Five Warner Bros. Records studio albums on 180-Gram Vinyl With Lacquers Cut From The Original Analog Masters. Between 1967 and 1970, the Grateful Dead recorded five studio albums for Warner Bros. Records that formed the psychedelic canon on which the band's live legend was built. The albums spotlighted the early core lineup of Jerry Garcia, Ron 'Pigpen' McKernan, Bob Weir, Phil Lesh, Bill Kreutzmann, and Mickey Hart. Grateful Dead and Rhino will celebrate the 40th Anniversary of 'Workingman's Dead' and 'American Beauty' with 'The Warner Bros. 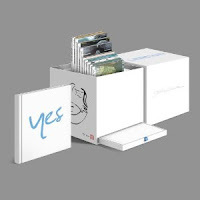 Studio Albums,' a five-LP boxed set available on September 21. 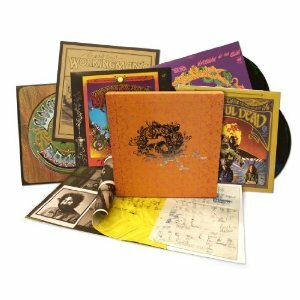 The collection contains 'The Grateful Dead' (1967), 'Workingman's Dead,' and 'American Beauty' (1970), plus the original mixes for 'Anthem Of The Sun' (1968) and 'Aoxomoxoa' (1969), available on vinyl for the first time in nearly 40 years. The set offers detailed replicas of the original albums housed in a hard-shell case that protects and stores the music with the accompanying 12in x 12in book including unpublished photos and new liner notes by Blair Jackson. 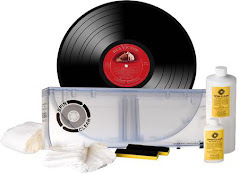 To ensure the highest degree of quality, the albums were pressed on 180-gram vinyl at RTI using lacquers cut from the original analog masters by Chris Bellman at Bernie Grundman Mastering. The original mixes for 'Anthem of the Sun' and 'Aoxomoxoa' featured here for the first time since they were released went out of circulation in 1972 and 1971 respectively. Garcia and Lesh revisited 'Aoxomoxoa' two years after its release in an effort to cut through the dense mix, which was a result of the band's extensive experimenting in the studio with one of the first 16-track recorders. The overhaul changed the album's sound significantly, including the end of 'Doin' That Rag,' which originally closed with an a cappella vocal coda that was later removed. What separates this collection from other box sets and reissues is the full concert recording, instead of the usual sub-par outtakes. Most of the tracks from the album are performed along with Bowie classics like "Rebel, Rebel," and "Suffragette City." Bowie modified the arrangements of these older songs to match the style of the record. "Diamond Dogs," and "Panic in Detroit" get a fresh makeover that doesn't stray too far from the original. And then there's a funky, tightness of "The Jean Genie," which takes on a life of its own with its infectious rhythm. By record's end, it's apparent that a magical event took place. 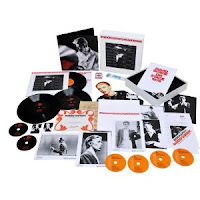 "Station to Station" is also available in a deluxe edition that includes five CDs, a DVD, three vinyl albums, and a plethora of collectibles, including replica tickets and backstage passes, booklets, and a poster. Yeah, yeah, I know it isn't vinyl, but this is certainly worth the investment. John Lennon was among the most important songwriters in pop history. Between him and his partner Paul McCartney, the duo revolutionized the way musicians would market themselves and their respective group. Most of the time, the songs that singers would sing were written by someone else (the Brill Building comes to mind as well as Motown). This song writing duo changed that, bringing their own compositions to the studio to record. This had a profound effect on music, allowing for more artistic freedom and experimentation. As a solo artist, Lennon released seven albums during his lifetime, as well as "Milk And Honey," which came four years after his 1980 murder. Two bonus CDs of non-album singles and previously unreleased studio outtakes and home recordings are also included. As Yoko continues to expertly preserve her husband's legacy, this is a loving repackaging of all of Lennon's post-Beatles music with this deluxe, career-spanning boxed set. One of the most infamous and notorious names in metal, Cradle Of Filth continue to shock, excite, disgust and inspire in equal measures. Darkly, Darkly, Venus Aversa, the latest chapter of the band’s dark history is to be released through Peaceville Records on the band’s own AbraCadaver imprint. This double heavyweight (180gm) colored (one blue disc and one red disc) vinyl edition is limited to 2000 numbered copies and comes packaged a gatefold sleeve with printed inner sleeves. The vinyl edition also comes with a dropcard with a unique code to download digital version the album. Black Friday provided a ray of hope for indie music retailers. "Most did well, with many reporting lines of people waiting to get in," said Michael Bunnell, Director of Coalition of Independent Music Stores (CIMS). "We don't see that often anymore." A few stores struggled with bad weather, but most saw increases of 10% to 50% on Friday and 15% to 20% for the weekend, driven in part by exlcusive product offerings. Best-sellers at indie stores included U2, Metallica, Gaslight Anthem, Iron and Wine, Dylan, Springsteen, Grinderman, Drive by Truckers, Black Crowes, and a Hendrix piece. "All of this is very positive and a testament to Indie stores doing what they do best - serving real music fans with great products," said Bunnell. "The Black Friday Record store day exclusives made a huge difference, with people waiting for the store to open," reported Jeffery Moss of indie chain Streetlight Records. "The exclusives helped give the indie stores some 'gravity' compared to the usual deep discounting of mass market items featured at Wal-Mart, Best Buy, and Target." Bootlegs, outtakes and unreleased material mostly interests completists, scholars and obsessive fans. Usually, the quality and significance declines with each new archival release, but not with Bob Dylan. The obsessives will be joyous of course, but even casual fans will become caught up in both Volume Nine’s narrative intensity and the astonishing creative power evident in these raw, casual and pure non-performances. After all, these demos Dylan made for his music publisher M. Witmark and Sons between 1962 and 1964 when he was in his very early 20s and presented here in chronological order, were not meant to be artistic statements. Most have never before been officially released and collectors have had to make do with poor sounding genuine boots. They were intended as faceless templates designed to entice other artists to record and perform the tunes so the songwriter and publisher could collect royalties on the sheet music, records, live performances and synchronization rights (use in movies and stage productions and now, but not often then, in commercials). That’s how the business worked back then and everyone from Carole King to Neil Diamond to Lou Reed got involved in “song plugging.” When Dylan came to New York, he did likewise. For me, this is easily the most exciting, fascinating and vital in Legacy’s Dylan Bootleg Series. As you listen and read Colin Escott’s perfectly attuned, business oriented narrative accompaniment, the story of Bob Dylan’s fast track rise to stardom unfolds. Escott weaves Dylan’s meteoric early narrative as he goes from songwriter/song hawker to recording artist and live attraction within the Tin Pan Alley music business system now long gone thanks in great part to Dylan. 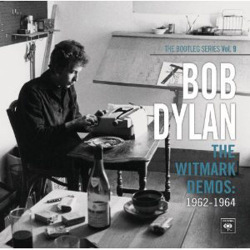 Thanks to the stop-action quality of compressing two year’s worth of visits to a small demo studio at M. Witmark and Sons, his publisher, to document new songs, the compilation feels like a jukebox or an iPod in shuffle mode as Dylan tries out different musical genres and unique vocal personas, growing in writing and performing sophistication before our ears—not that he didn’t sound fully formed even on the earliest material. People used to say Dylan sounded like an old man when he was young but listening to him here, that’s wrong. Dylan sounded like an old recordwhen he was young. It’s as if he learned to imitate an old 78rpm disc the way an African Gray parrot mimics the sound of an answering machine. He “plays” 78s of his own invention of course, but the ghost of the antecedent pushes its way to the foreground on many of these formative tunes and performances. Some, like “Blowin’ In the Wind,” “Mr. Tambourine Man,” “Tomorrow is a Long Time,” and “Only A Hobo” have become iconic sung by others after hearing and recording their versions of these very demos, so it’s thrilling to finally hear what Peter, Paul and Mary, The Byrds, Judy Collins and Rod Stewart heard. Some like “A Hard Rain’s Gonna Fall,” “Masters of War,” “The Times They Are a Changin’” and others were owned by Dylan, though even some of those received memorable treatment by others. For Fairport Convention fans, hearing the original of the gorgeous “I’ll Keep it With Mine,” first heard by the music buying public on their What We Did On Our Holidays(Island 9092)will bring the set to an especially poignant ending. How producer Joe Boyd got the demo back then would probably be an interesting side story. Even the less than memorable and dead end tunes (fifteen of which have never before been released in any format) offer something of interest, even if they serve merely as links to bursts of mind-boggling greatness as startling to witness today in these early iterations, as they were in the final versions that stopped us in our tracks all those years ago. Hearing Dylan accompanying himself on piano on “The Times They Are A- Changin’” reveals the melodic complexity Dylan managed with basic chording. When you finish reading and listening, your appreciation for all of Dylan’s commercially released music will have been greatly enhanced. The four LPs here aren’t one-time documentary fascinations: they stand up well to repeated scrutiny. Dylan coughs, muffs some lines, apologizes, promises to write down some versus, laughs, directs and even at this early time complains that he’s sung one song “so many times” but as quickly as these informal asides and glitches appear, they dissolve and the magic spell reasserts itself. One doesn’t have to imagine what the music business people with whom Dylan surrounded himself might have been thinking upon hearing these tunes because Escott’s notes give some indication. John Hammond, who signed Dylan to Columbia, was thrilled with the youngster’s honesty and integrity. The other executives called it “Hammond’s Folly.” New York Times music critic Robert Shelton saw it coming immediately upon seeing Dylan, but Leeds Publishing’s Lou Levy didn’t. He’d first signed Dylan for $100 but relinquished the contract when Witmark wanted Dylan. Escott compares this to Decca’s turning down The Beatles around the same time. All of the main characters from Albert Grossman to Artie Mogull come to life in the Damon Runyan-like New York City music biz history Escott recounts. You’ll read how Peter, Paul and Mary came to first record “Blowin’ In the Wind” and other anecdotes that bring life and focus to this early period during which Dylan simultaneously recorded his first album of mostly covers that reportedly sold a Folkways Records-like grand total of 2500 copies. Sony/Legacy’s packaging is absolutely stellar. These folks really get what needs to be provided to entice people to buy physical media. This is a sturdy box set you will want to own. There literally isn’t a surface that gets ignored. The insides are lined with “Six Eye” wallpaper. The lettering on the cover is embossed lamination set against matte photos. Each of the four LPs is housed in a beautifully presented LP jacket featuring a full sized matte-finish black and white photo of Dylan taken during this period. The left hand margin of each is finished in a laminated faux leather wrap around surface. The back of the jackets reproduce an old Columbia Records 78 RPM manufacturing blurb once found on the label’s 78rpm sleeves and the labels are reproductions of audiodisc acetate blanks. The full-sized book is similarly well executed and features full page, stunning black and white and color photos, most previously not published, memorabilia, original typed and handwritten lyric sheets and other nostalgic material. And of course there is Escott’s flawless annotation. I suspect the 180g vinyl was pressed at Rainbo in Los Angeles and it’s clear now that the company has achieved a consistently high level pressing quality many in the industry never thought possible from the “hit and miss” company. 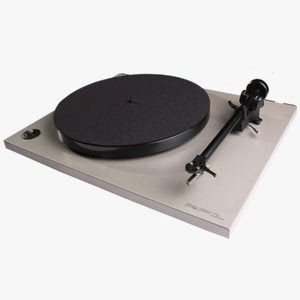 My four LPs were all hits and no misses in terms of quiet and excellent fit'n'finish. As for the actual sound, while it’s variable, even the worst of it has a direct, immediate and honest sound that will communicate to you the sensation of being in that little room and witnessing these performances. The best of them, like Dylan’s vocals on “The Times They Are A-Changin’” will make you feel as if you’re in the room despite the muffled piano. It sounds and feels like New York City in the early 1960s. Just don’t expect me to explain exactly why, but if you were around then you’ll smell the air. I doubt this was cut from anything but a digitally compiled source but however it was done, the sound is transparent and true and the 12 X 12 packaging alone makes it a worthwhile investment, though at around $140 dollars, it’s pricey. I was more looking forward to George Marino’s all-analog mastering of the mono commercial releases than to this set of publishing demos, but it’s doubtful those will have the same impact as this set. When the day comes that Dylan’s work will be in need of a career capping summation, however well it’s conceived and produced, it’s not likely to achieve the clarity, focus and importance of this career opening “prequel-like” box.